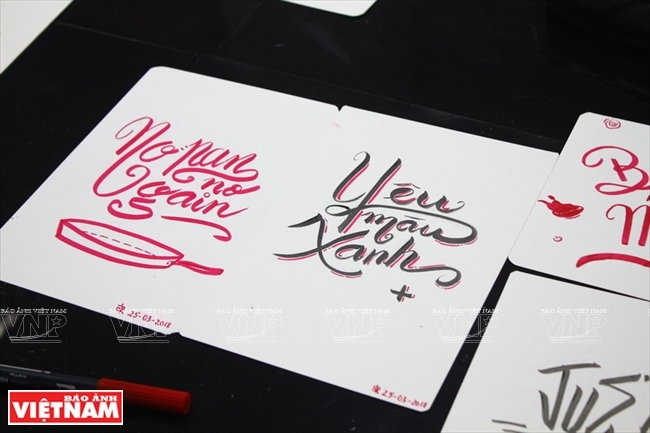 A new art in Vietnam, hand lettering, attracts many young people with its creativeness. 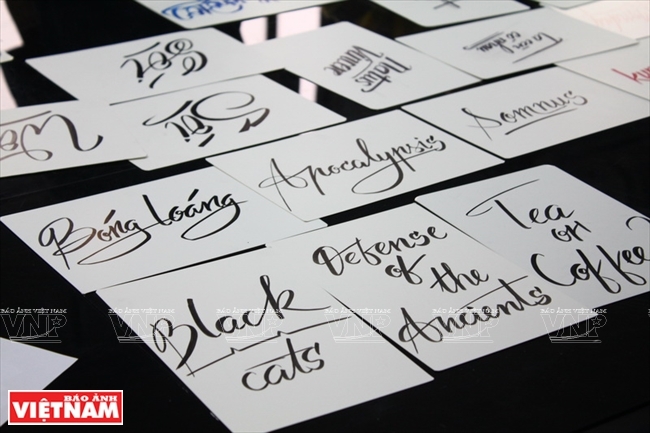 Hand lettering, which evolved into a trend in the early 19th century, was originally decorative, according to Le Quoc Sy, one of the first Vietnamese people to study this art. Hand lettering is now being used to make posters, advertisements, logos and book covers. 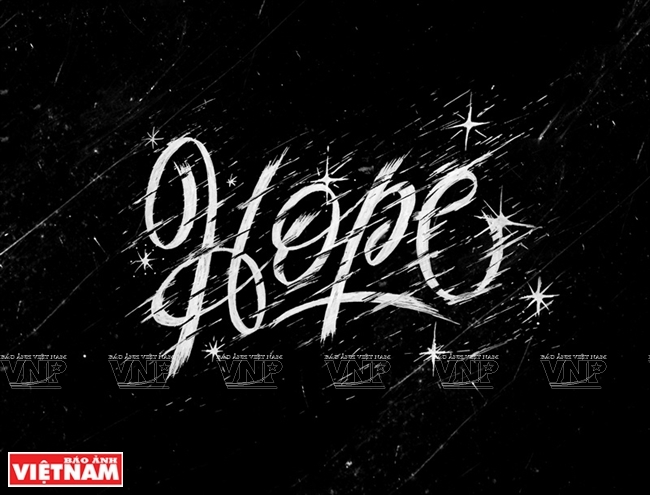 Many people mistake hand lettering for typography. 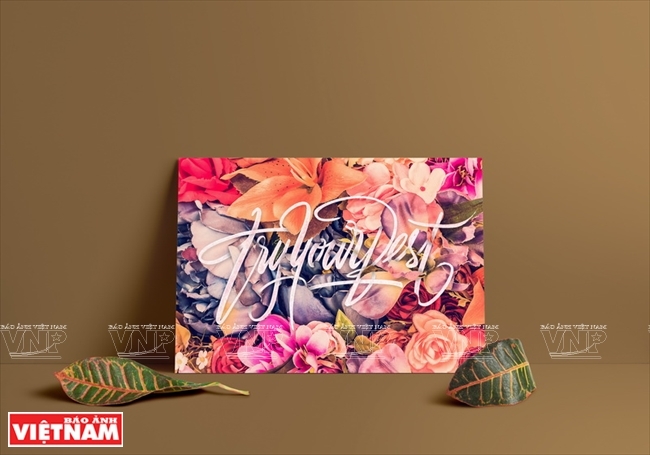 However, typography is the art of arranging letters applied to printed materials while hand lettering is the creation of hand-drawn letters. 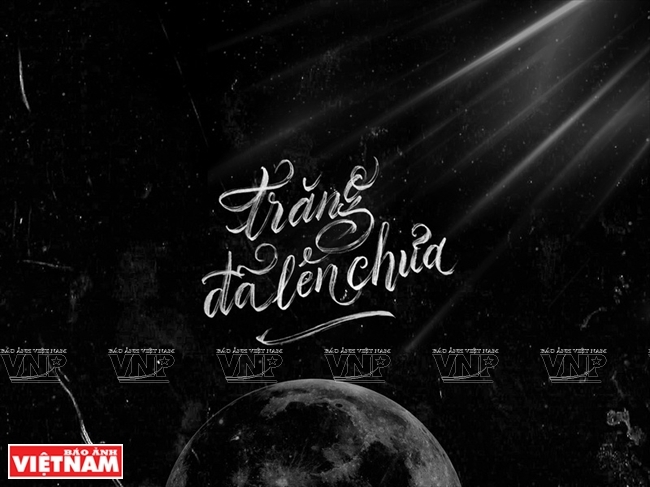 Le Quoc Sy is one of the first Vietnamese people to study hand lettering. 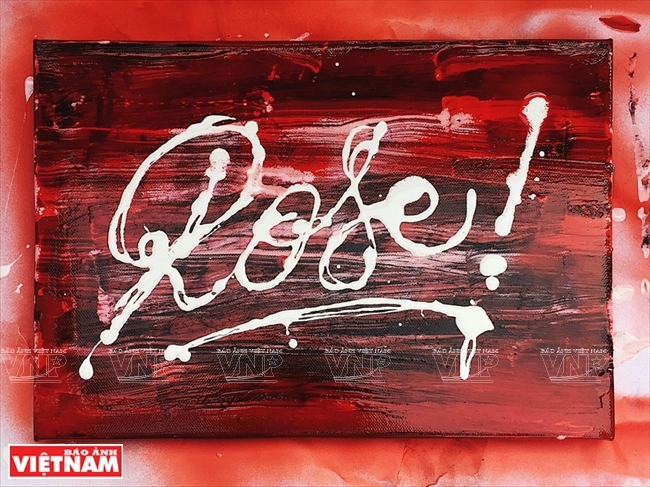 Young people combine hand lettering with graphics technology to make practical products. 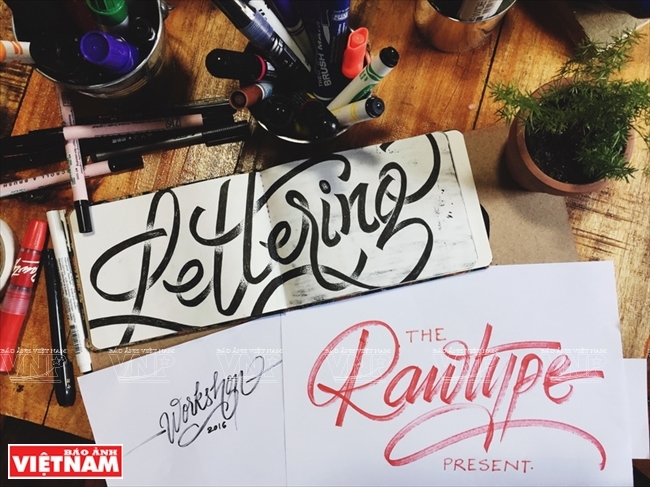 Artists digitize hand lettering sketches. Each hand lettering product should be suitable for its intended use. 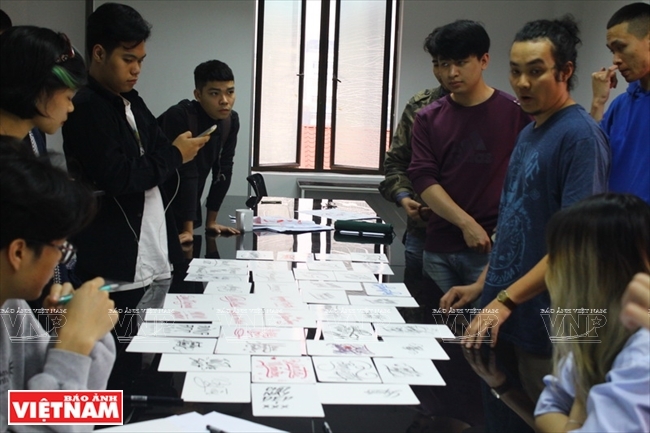 Le Quoc Sy (second right) teaches at a hand lettering class in Hanoi. To get started, learners have to use ink pens to write the letters of the alphabet, and then attach the letters together to form a phrase. To create a perfect piece of art, students should sketch letters with pencils. The letters then will be stylized and polished based on the shape of letters and purpose. This is the hardest stage which requires creativity. 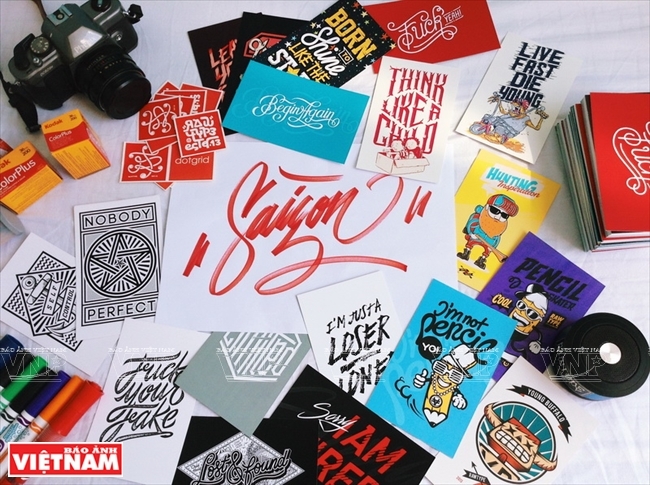 Each hand lettering product should be both beautiful and suitable for the intended use. 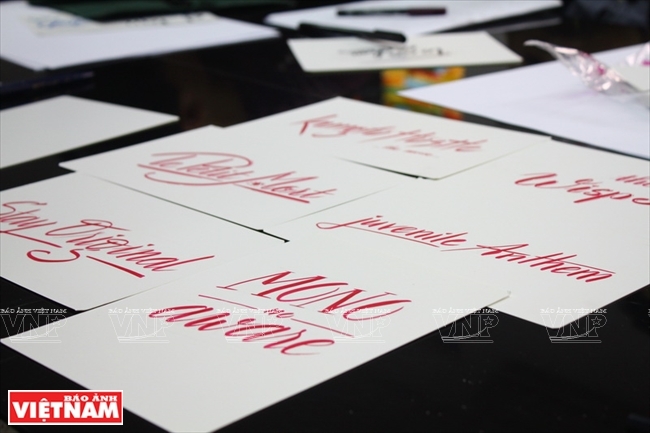 There are many different ways to make hand lettering products for different purposes. The surface of the paper used in making wall pictures must be smooth because rough paper makes it hard for artists to control the hand-drawn letters. For products used in design projects, artists have to use editing software after sketching letters on paper. 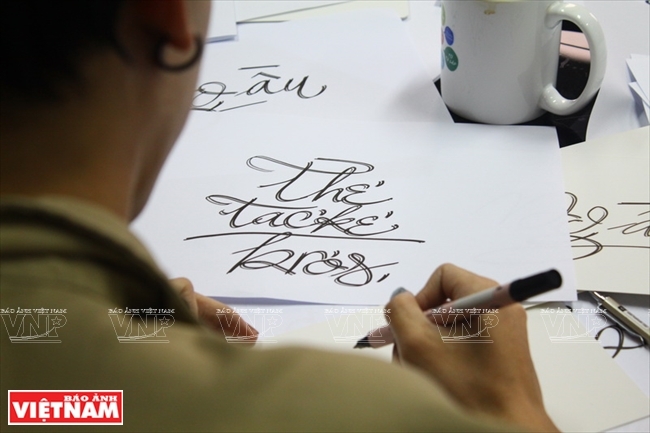 In Vietnam, hand lettering has been mainly used in making logos, brand identity, book covers, and fashion products for young people. 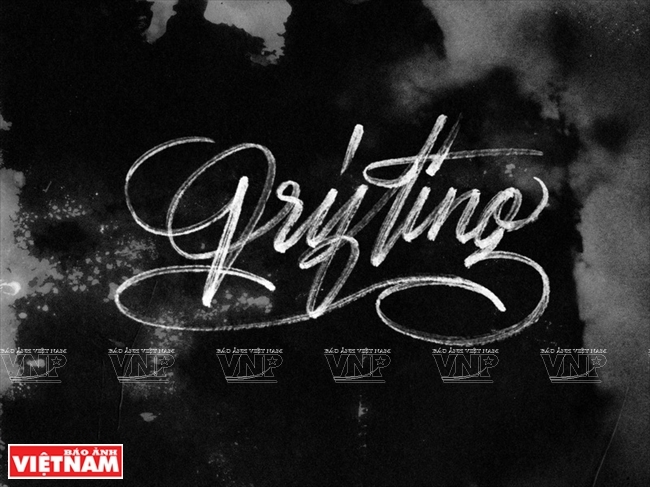 Hand lettering is not only a hobby, but it is also a good way to relax.